Image of the Circular edge-fed patch with sectoral slot. 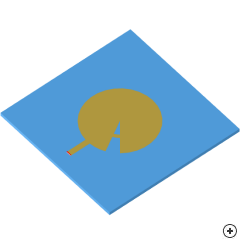 One very useful feature of the Circular edge-fed patch with sectoral slot (which has affectionately become known as the Pacman antenna here at Antenna Magus) is that although it is fed with a microstrip line it requires no matching section. 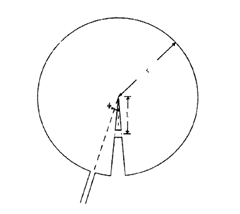 By adjusting the sector angle and size (shown in the image below) the real input impedance can be adjusted from 50 ohm to 200 ohm. This characteristic can be very useful in achieving the required input impedance on a given substrate (which may be impossible with an inset feed), specifically in array applications where the space saved by removing the matching sections from the feed network can be critical, though the effect on the polarisation purity of the radiation pattern must also be carefully considered. 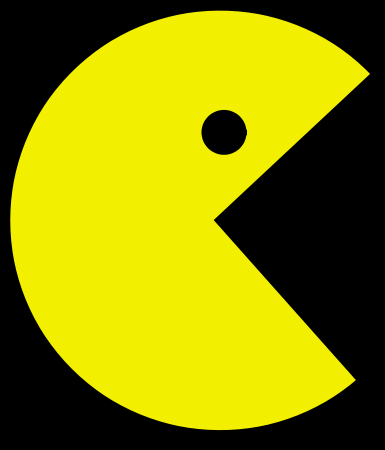 Top diagram view of the Pacman antenna.